I was recently representing a condo buy for one of my clients, and to my astonishment they told me that the quartz in the model is an upgrade, and that granite comes with the condo. I was so perplexed because last year when I put granite in my kitchen, the granite was much more expensive than the quartz. The installer did recommend the quartz as the new in product but said that granite was more expensive as a stone. So what to make of this new push for Quartz over Granite? Its a cheaper stone, and easier to manipulate and cut. So by making Quartz the new in product, with it being cheaper, the builders and installers can charge more, and make more profit. 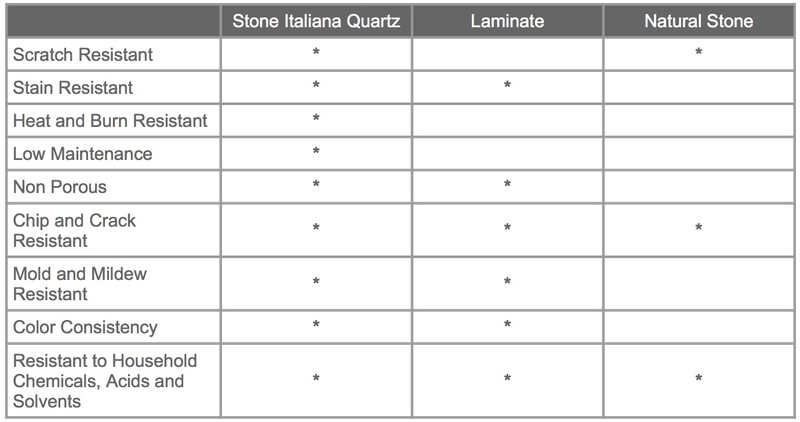 Here is a chart detailing the benefits of Quartz. Let me know what you think of this Quartz finish? Would you Buy it?